The art of table setting is one that is lost on many modern day hosts. Now a days, guests are lucky to get plates made of anything besides paper much less custom place cards. If you would like to reawaken the beauty of table setting and finally find out which fork goes where and for what, you’ve come to the right place. 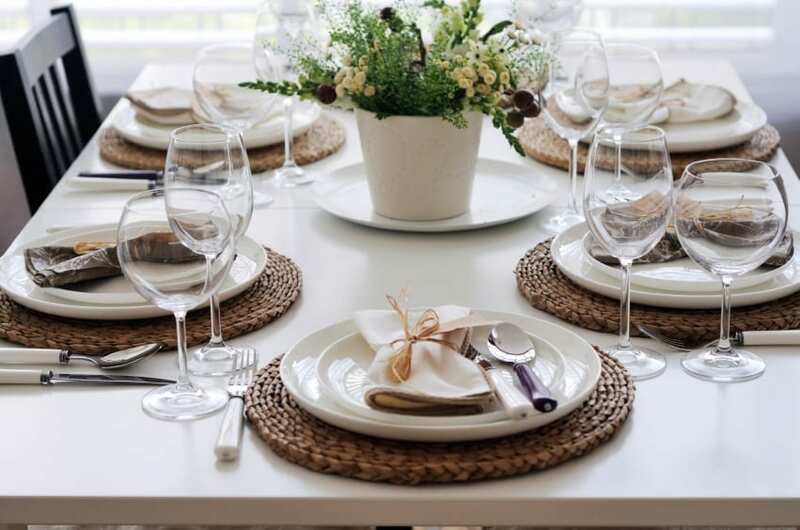 Once you know the basics of table setting, it remains the same regardless of the event. The fact is, modern Americans don’t own full set of silver. In this day and age you can expect the fanciest American table setting to include two forks at the most. So if you had any anxiety about which work goes to what, you can let all that worry go. The most important things you need to know about forms when it comes to a North American table setting is that forks are placed to the left of the plate. Spoons and knives go on the right. Simple enough! So in case you look at the setting and suddenly get worried you’ve put the silverware on the wrong side of the plate, worry not. You’re doing it right! In case you’re still worried you’ll forget seconds after reading this article, remember this trick. Fork and left both have four letters. Now you can remember that fork goes on the left because the share the same amount of letters to make up their names. Knife, spoon and right all have five letters. So long as you can spell and count (which you clearly can) you can remember which side the silverware goes on. Your right hand is very capable of making a lowercase “d” shape. This is how you can remember to keep the drink on the right side. Keeping the bread plate exactly to the left of your silverware and your drink exactly to the right would cause unnecessary clutter. Instead, keep the bread plate and the drink just above your main plate and silverware. Now everyone has enough elbow to enjoy. Finally, if you decide to serve a dessert course consider what is involved in eating said dessert. If you have a custard dessert, your guest is going to need another spoon. In this case you might want something smaller just to the side of their main spoon. Besides that you’re good to go! Enjoy your dinner!